This episode features the triumphant return of the ever popular "Top Five" show! 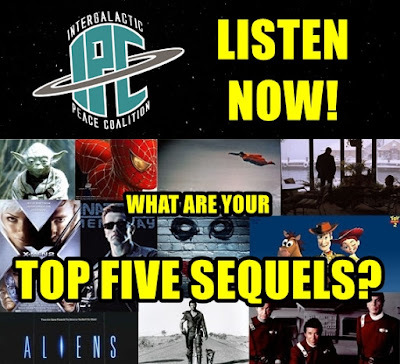 This time around, Ben and Zac are joined by good friend Patrick Bonfrisco from Radio Free Mandalore and KPFK Geek Radio to discuss everyone's Top Five Sequels. They start off by reading a ton of listener submitted top five lists, then later the guys break down their own lists. Included are some surprising choices, along with some very, very obvious ones. Furthermore, they discuss mobile barbecue on #BBQWatch, and stay all the way to the end for a special treat.